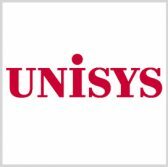 Unisys has pledged support to the Paris Call for Trust and Security in Cyberspace as part of efforts to promote and sustain internet security worldwide. The company said Monday French President Emmanuel Macron would introduce the government-backed cybersecurity initiative at the Paris Digital Week’s Internet Governance Forum. Tom Patterson, Unisys chief trust officer, said the firm believes that countries should collaborate to counter cyber threats and maintain the integrity of cyberspace. Patterson added the company supports global efforts to protect critical infrastructure assets. Unisys Chairman and CEO Peter Altabef has served as co-chairman of the Cybersecurity Moonshot program under the U.S. government’s National Security Telecommunications Advisory Committee. NSTAC is scheduled Wednesday to submit a report on the initiative to the White House.